Macy's has become an iconic American brand since it's opening in 1858. Throughout the years, Macy's has been a pioneer in the department store industry through its business practices and retail "firsts". Macy's Ala Moana Center offers a first class selection of top fashion brands including Ralph Lauren, Calvin Klein, Clinique, Estee Lauder & Levis. 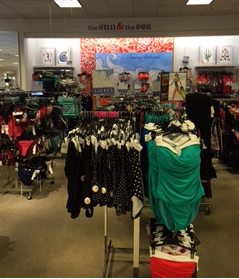 In addition to shoes and clothing, Macy's has a wide variety of housewares and gifts. Need help locating something in the store? The Macy's associates would be happy to assist you with any of your shopping needs.